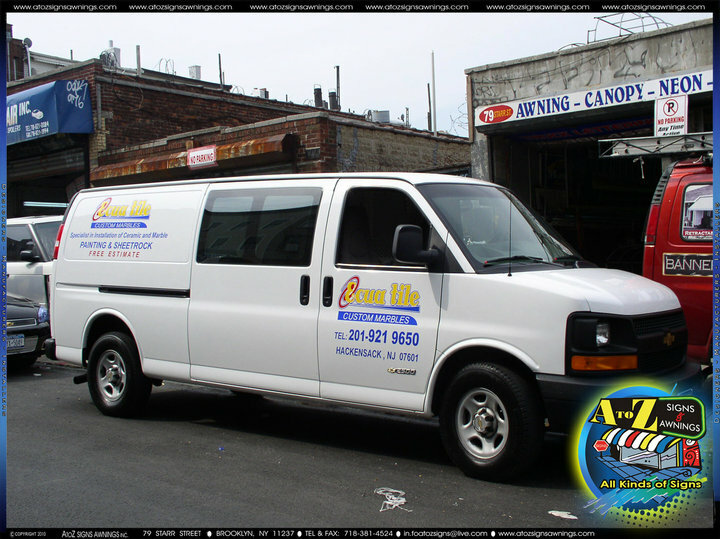 Car, Truck, & Van Lettering, custom made by A To Z Signs & Awnings, Inc.
Have a car, van, truck, or any other vehicle that you would like to decorate a bit? 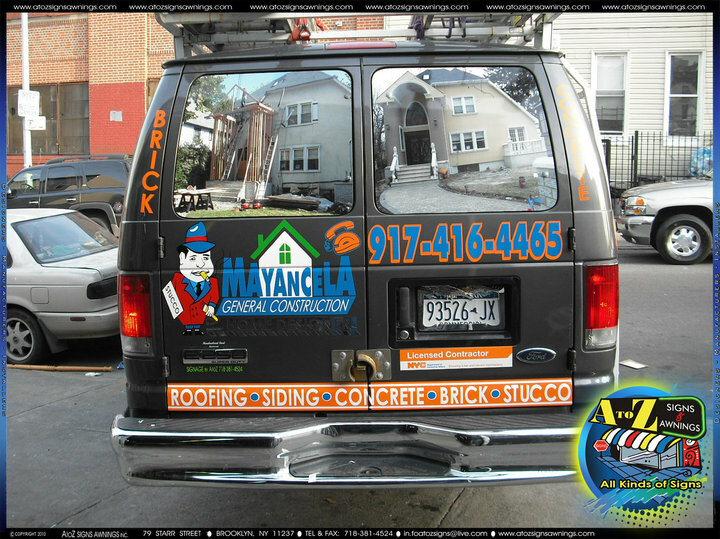 Want to attract customers by putting your businesses' information on your company's car, truck, or van? 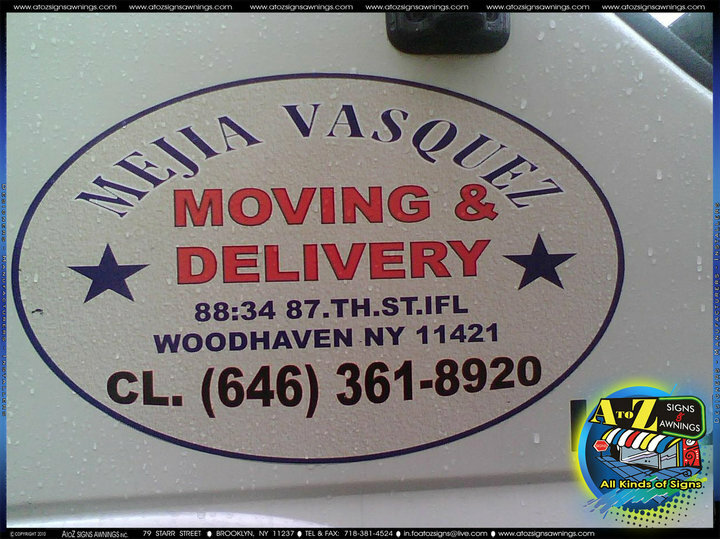 Or do you just want to put letters and images on your personal vehicle, van, bike, or motorcycle? 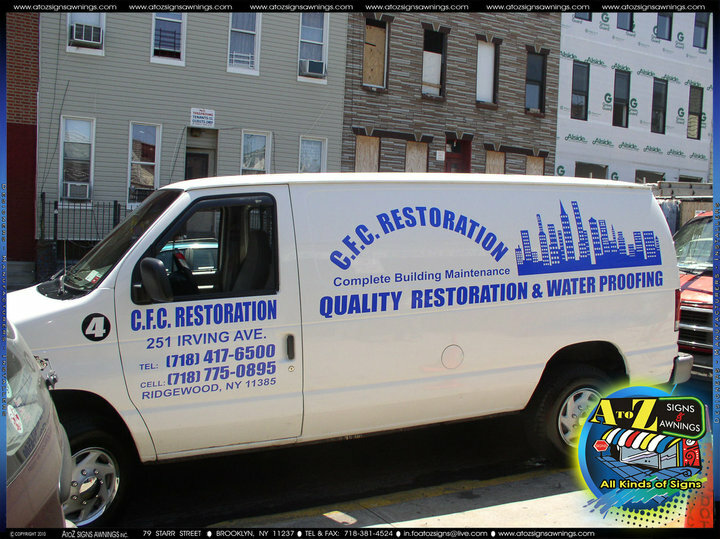 A to Z Signs will custom design vehicle lettering to fit your every need, whether for personal or business use. We also do bike and motorcycle lettering as well! Note: A to Z Signs is not responsible for any misspellings, inaccuracies, or mistakes of any sort within the information provided for lettering when designing, producing, or installing the lettering. Any misspellings, inaccuracies, or mistakes of any sort are the sole responsibility of the customer who provides the information he/she wants the lettering for. Please make sure the information you provide us is correct before we commence work on your project, ideally before the design/production stage. 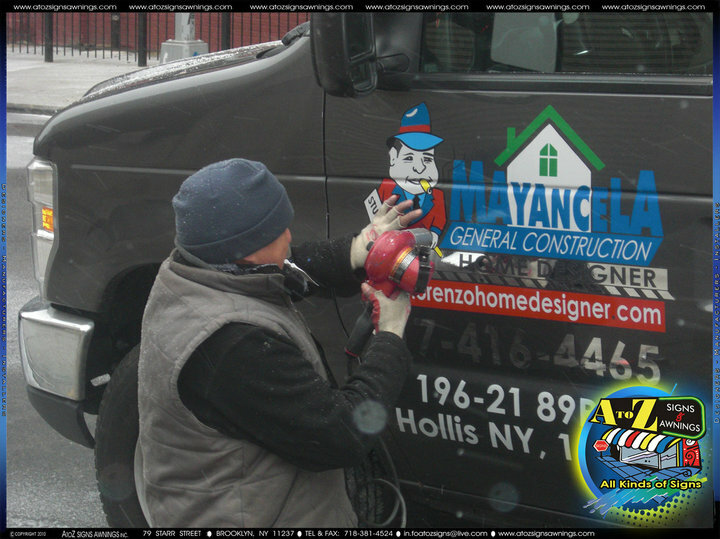 Want to see how lettering is installed on a truck? Check out the photos below!